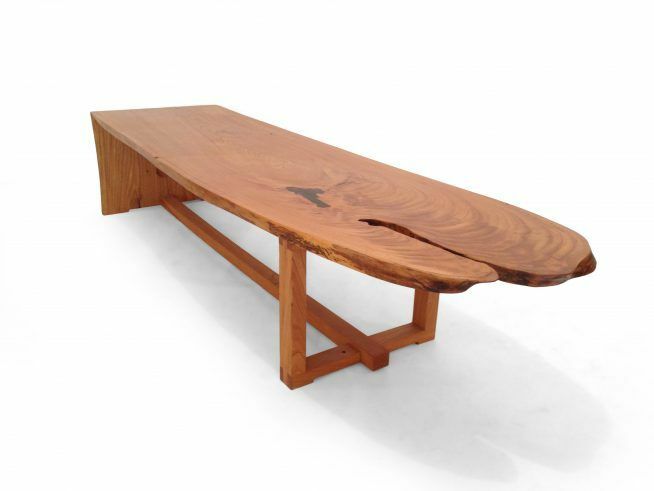 This waterfall elm is a perfect coffee table or bench. We salvaged the wood from Cleveland, Ohio—the town where Dutch elm disease entered the US and where we grew up. It’s a beautiful piece. Come into the showroom to have a look.